Start and end in Berlin! With the discovery tour Russia Scandi, you have a 23 day tour package taking you through Berlin, Germany and 10 other destinations in Europe. 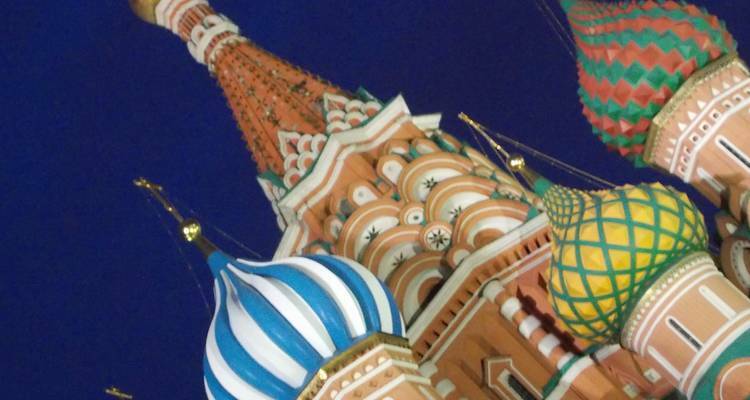 Russia Scandi includes accommodation in a hotel and hostel as well as an expert guide, meals, transport and more. Approachable, organised and fun guy! He made the trip really memorable! Monika was a very good guide and very helpful and cheerful. This was an amazing tour with an amazing TL. Bec was super knowledgeable and always willing to go above and beyond for our group. What an amazing trip! I had my doubts, especially about Russia. But the tour leaders, tour mates and Russian culture made it an unforgettable experience. Highly recommended! Food fund for Russia Scandi covers all included group meals while you are on the trip. This tour includes all breakfasts and some fresh lunches lunches while travelling - which means you can save on expensive lunches from motorway service stations and enjoy higher quality food. Meals at local restaurants are also included giving you the opportunity to try local cuisines. The food fund needs to be paid upfront before the departure. Food fund for Russia Scandi covers all included group meals while you are on the trip. This tour includes all breakfasts and some fresh lunches lunches while travelling - which means you can save on expensive lunches from motorway service stations and enjoy higher quality food. Meals at local restaurants are also included giving you the opportunity to try local cuisines. The food fund needs to be paid upfront before the departure. Recommended for Germany, Denmark, Sweden, Estonia, Russia, Latvia, Lithuania and Poland. Ideally 6 months before travel. Recommended for Estonia, Russia, Latvia, Lithuania and Poland. Ideally 2 weeks before travel. Recommended for Estonia, Russia, Latvia, Lithuania and Poland. Ideally 2 months before travel. Start and end in Berlin. 48 is the maximum group size for Russia Scandi. TourRadar only requires a deposit of $99 to confirm this Topdeck booking. The remaining balance is then payable 47 days prior to the departure date. For any tour departing before 6 June 2019 the full payment of $3,589 is necessary. No additional cancellation fees! You can cancel the tour up to 47 days prior to the departure date and you will not need to pay the full amount of $3589 for Russia Scandi, but the deposit of $99 is non-refundable. Covering a total distance of approx 4,245 km.